Japanese economists began publishing scientific papers in renowned journals including Econometrica in the 1950s and made significant contributions to the sophistication of general equilibrium analysis by anÃÂ intensive use of a variety of mathematical instruments. They contributed significantly to the transformation of neoclassical economics. This book examines how it became possible for Japanese economists to do so by shedding light on the "professional" discussion of the international gold standard and parity policies in the early twentieth century, the acceptance of "mathematical economics" in the following period, the impact of the establishment of the Econometric Society (1930) and the swift distribution of theory-oriented economics journals since 1930. 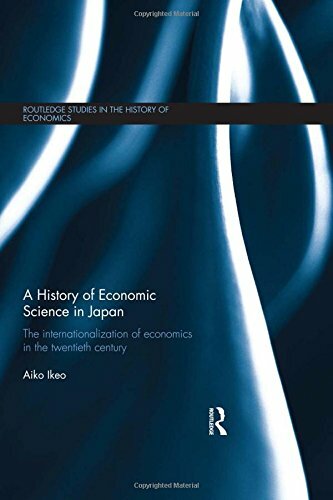 This book also includes topics on the historical research of the Japanese foundations of modern economics, the transformation of the economics of Keynes into Keynesian economics, Japanese developments in econometrics, and Martin Bronfenbrenner's visit to Japan in the post-World War II period. This book provides insight into the economic research done by Japanese scholars in the international context. It traces how, during the period 1900-60, economics was harmonized with mathematics and a standard economics was reshaped on the basis of mathematics thanks to economists' appetite for rigor; and itÃÂ will help to contribute to existing literature. About: Japanese economists began publishing scientific papers in renowned journals including Econometrica in the 1950s and made significant contributions to the sophistication of general equilibrium analysis by anÂ intensive use of a variety of mathematical instruments. About: Japanese economists began publishing scientific papers in renowned journals including Econometrica in the 1950s and made significant contributions to the sophistication of general equilibrium analysis by an intensive use of a variety of mathematical instruments.